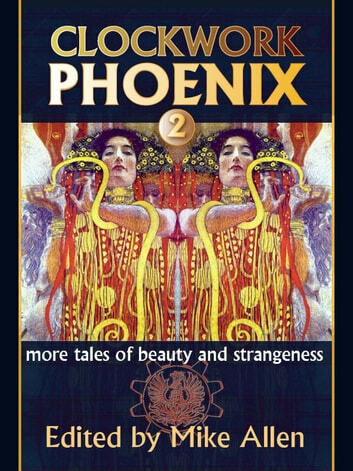 The second volume in the ground-breaking, genre-bending, boundary-pushing CLOCKWORK PHOENIX anthology series, available at last in digital format. "Allen finds his groove for this second annual anthology of weird stories, selecting 16 wonderfully evocative, well-written tales. ... Each story fits neatly alongside the next, and the diversity of topics, perspectives and authors makes this cosmopolitan anthology a winner." Includes critically-acclaimed and award-nominated stories by Claude Lalumière, Leah Bobet, Marie Brennan, Ian McHugh, Ann Leckie, Mary Robinette Kowal, Saladin Ahmed, Tanith Lee, Joanna Galbraith, Catherynne M. Valente, Forrest Aguirre, Gemma Files and Stephen J. Barringer, Kelly Barnhill, Barbara Krasnoff and Steve Rasnic Tem. "15 original tales by some of fantasy&apos;s most imaginative voices ... each chosen for their unique perspective and stylistic grace." With a whimsical introduction and new afterword by Nebula Award-nominated editor Mike Allen. "Sixteen unique voices that manage nevertheless to harmonize into a sort of choir of the uncanny singing in the key of beauty and strangeness ... Mike Allen has conducted it masterfully. 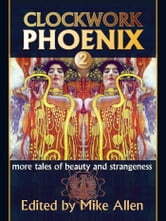 I highly recommend it, and look forward with great anticipation to CLOCKWORK PHOENIX 3."